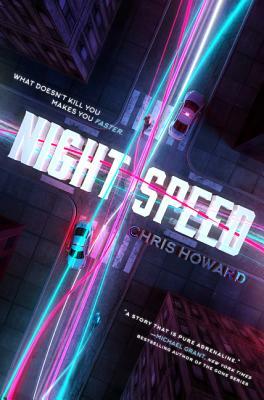 An addictive new drug fuels superhuman strength and speed in this action-packed sci-fi thriller that will have fans of Scott Westerfeld and Marie Lu on the edge of their seats. Only those young enough can survive tetra, a dangerous drug that creates a pulse-pounding rush of enormous strength and incredible speed. Seventeen-year-old Alana West has been trained to use tetra so she can pursue the young criminals who abuse its power—criminals like the one who nearly killed her kid brother. On tetra, Alana is unstoppable—an explosive blur as she surges through New York City. But with the clock ticking down to her eighteenth birthday, Alana will soon be too old for the rush . . . when just one more dose will prove deadly. Supported only by her steady handler, Tucker, Alana goes undercover, infiltrating an elite gang of breaknecks to stop their supply of the drug. But when Alana gets trapped on the wrong side of the law, she learns the breaknecks are not quite what they seem—especially Ethan, the boy who seems to see the truth inside her. With her dependency on tetra increasing, Alana must decide where her loyalties lie, before the rush ends. Forever. Action and darkness abound in Howard’s novel, set in a New York that is not so much futuristic as it is alternate reality, for there are many present-day cultural touchstones to ground readers. Fans of ‘90s Schwarzenegger/Willis/Stallone/Cruise movies will find themselves in familiar territory.